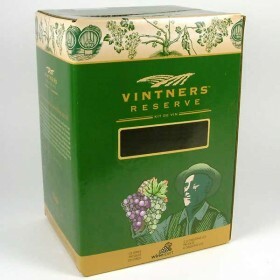 A bold, medium-bodied wine with rich black fruit and hints of spice. Sweetness : Dry Oak : Light.. Deep in colour, with black cherry and currant-berry aromas, the lush fruit of this wine meets soft a..
Well balanced, medium bodied wine with red berry fruit and oak. 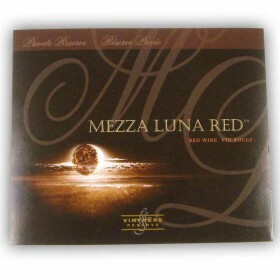 Sweetness : Dry Oak : Medium Body ..
30 gummed labels specifically created for the Vintners Reserve Mezza Luna Red kit.Add a quality shri.. This elegant fruit-forward style has aromas of blackcurrants and cherries. Sweetness : Dry Oak : No..
Berries, spice and herbs fill the mouth of this robust red wine. Youthful tannins suggest short term..
Blackberry, spice and chocolate leap from the glass of this full-flavoured red wine. Sweetness : Dr..
A light, refreshing, sipping wine with flavours of strawberries and raspberries with just a touch of..